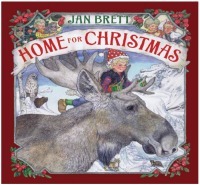 An excellent gift for people of many ages, regardless of their locale, that brings together unique geographic, historical, and cultural perspectives and memories about winter’s holiday celebrations and traditions. Reviewers of this book have called it “a thought-provoking and inspiring antidote to the dark and icy days of December” and “a welcome reminder of the many connections we make with each other and the landscape” during the holiday season. The editors have included heart-warming stories by 21 Midwestern writers, some living and some not, and many who are or have been award winners for their contributions to Americana literature. Those of us who have read these short stories with topics ranging from lutefisk and julebukking to sleighbells and twinkling lights congratulate the editors for their choices and agree with yet another reviewer who wrote, “the stories in this collection unwrap like so many holiday packages, revealing a varied assortment of gifts” remniscent of December in the Midwest with days and experiences that vary from the magical to those that are depressing, but all which make for a a rich life.